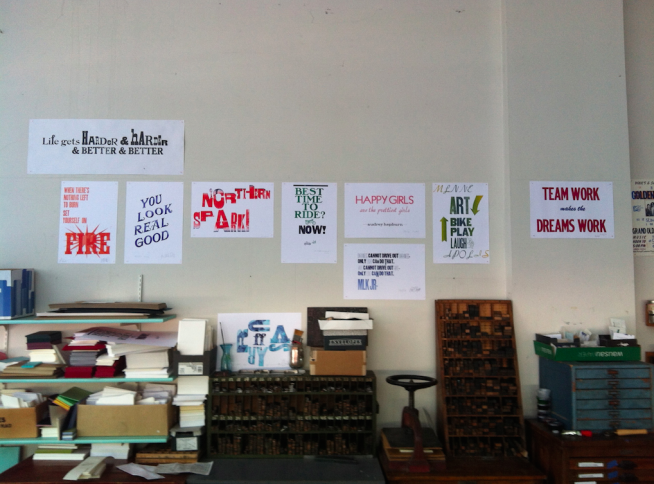 Wood type at the ready. Photo by Jenni Undis. Printers Local 403 artists R. Godollei and J. Undis together at Northern Spark 2012. Photo courtesy Lunalux. 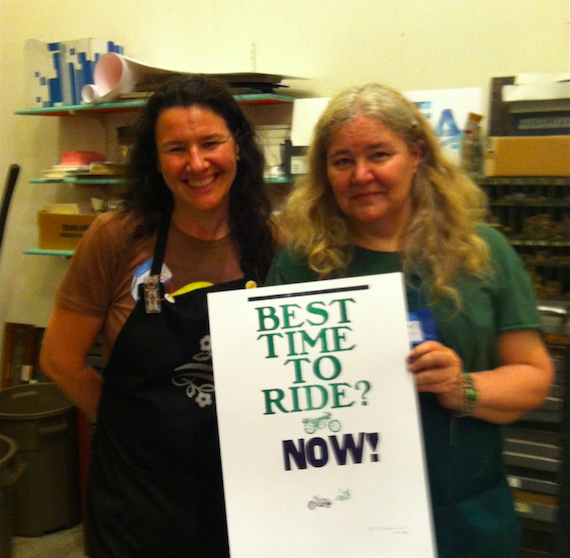 Posters printed at Lunalux's Letterpress Lock-in at Northern Spark 2012. Photo by Jenni Undis. This amalgamated union of printers, who assemble on just one hallowed night of the year, approach letterpress from varied perspectives: art, history, craft, commerce, utility. Despite their differences, they share the most basic common interest: the science and magic of ink on paper. Come in and watch as they binge on creativity, making art and giving it away all night long. 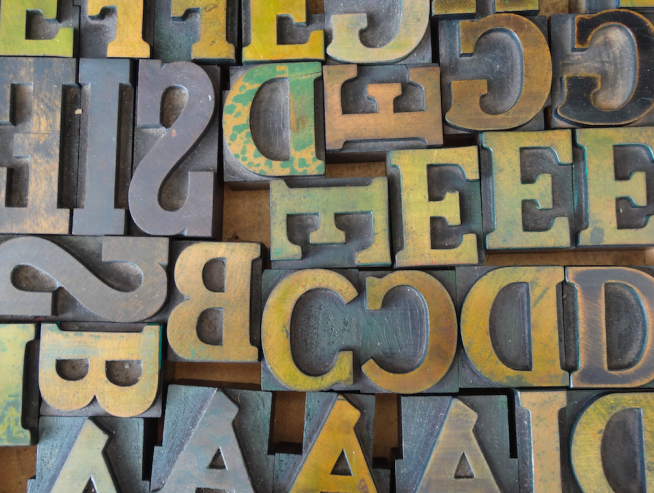 Festival goers can walk through a working letterpress studio, observe & talk with the artists as they experiment with vintage type on antique presses. Mary Bruno, Ruthann Godollei, Bill Moran, Chip Schilling and Jenni Undis are among the collaborators scheduled to take to the presses during the night, with additional printers expected to pitch in as well.